The 24K Collagen Collection works to plump the appearance of dull, sagging skin, while promoting a brighter, more radiant look.The 24K Collagen & Seaweed Mask is a unique kaolin clay mask designed to restore the look of volume and smoothness to skin. Its blend of ingredients like safflower seed oil, collagen, Retinyl Palmitate and botanical extracts like sage extract, help to reduce the appearance of fine lines and wrinkles. Flecked with gold, this luxurious mask will leave your skin more vibrant and radiant in just one use. Use weekly. Apply a generous amount on cleansed skin, evenly rub onto face and neck. Leave mask on for 10 minutes, and then rinse off with cool water. 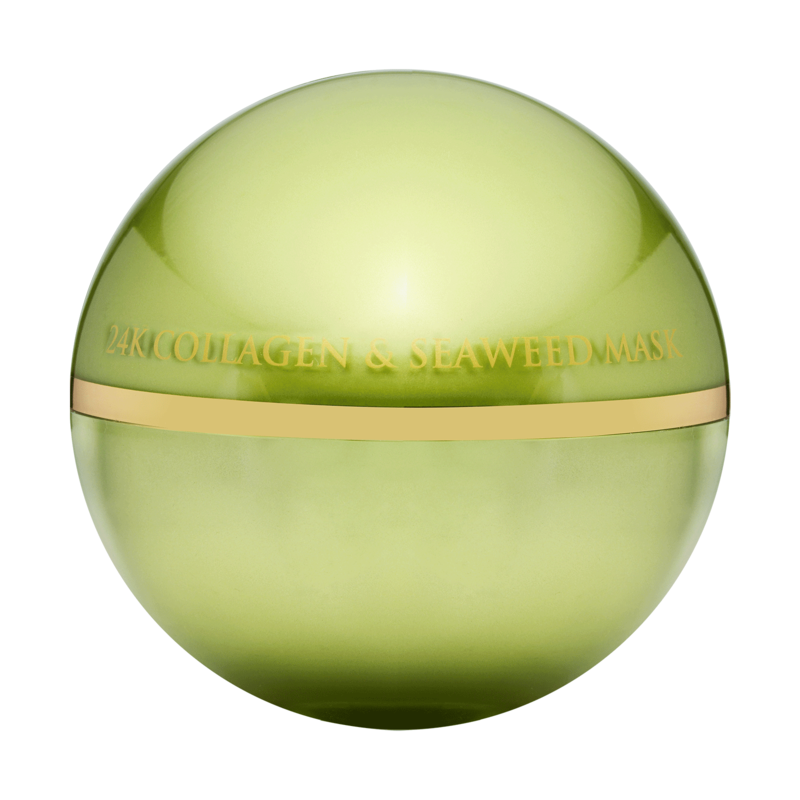 For ultimate results, use in conjunction with 24K Collagen Renewal Serum.